Since 1984, Sweetser Law Office has been protecting the rights of injured people. Under the leadership of former elected prosecutor James R. Sweetser, our personal injury law firm represents individuals who have been permanently injured or killed, as well as their families. We care about our clients. We care about this community. People come to us because their life has been shattered by circumstances not of their own making. They've been traumatically injured, or they've had a family member killed, and it is life-altering. Facing mounting medical bills or lost income they cannot afford to be treated unfairly. We provide guidance. We help everyday folks who find themselves toe-to-toe against giant corporations, the government, or an insurance company. We make certain that individuals who experience needless tragedy do not have their rights trampled. We enforce the safety laws. Everybody is protected by the same justice system so those who do wrong must be held equally accountable for what they cause. We demand full justice. By justice, we mean compensation for all the harms and losses suffered. Half justice is an injustice. We win. We have assembled a talented and hard-working team passionate about helping those left hurting by another's carelessness. We are the injury law office with manpower, financial resources, and a proven track record of results. Sweetser Law Office is rooted in this community as a well-known personal injury law firm dedicated to protecting injured people. Our reputation was built by forcing bullies and insurance companies to pay for the harm they cause. We battle them in court so that you can focus on getting better. Plus, you pay nothing unless we win. With generations of experience, our firm's trial lawyers have helped thousands across Spokane, Eastern Washington, and Northern Idaho. We handle all types of personal injury claims, including car accidents, injuries to children, and wrongful deaths. We represent everyday people up against a system that tries to marginalize other's pain and suffering. We take pride in ensuring those injured through no fault of their own are treated with dignity and respect. Nobody plans on being permanently disabled or losing a family member because of someone else's negligence. Nobody dreams of hiring a personal injury attorney. But when you do need a lawyer, Sweetser Law Office is here for you. We start the battle as soon as we are brought into the case. The sooner you call us the sooner we can get to work preserving critical evidence. We hear from injured victims every day. Sweetser Law Office provides a 100% free case evaluation, advice, consultation, and an overall legal assessment of your case. All consultations are free at absolutely no cost or obligation to you. When you or a loved one has been severely injured we strongly advise you to immediately contact a Spokane personal injury attorney. An initial consultation with an experienced lawyer will help you determine your rights and evaluate your legal options. Injury laws can be complex, and because each state has a different set of laws to apply, it is best to find an experienced attorney in Washington for advice. By listening to the facts and circumstances of your case and asking a series of questions, an experienced attorney will evaluate your case considering relevant state and federal laws. For any questions about a serious injury or wrongful death claim, from dangerous products to being injured in a car crash, or any other injury related issue, contact us today. If we are unable to help, we will find someone that can. You do not pay unless we win your case. If you choose to work with Sweetser Law Office we will pay the expensive litigation costs for investigation of the incident, consultation with experts, as well as the man-hours that go into preparing an effective case for trial. 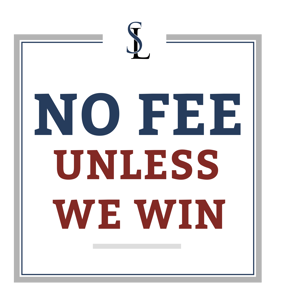 It is a risk-free contingency fee method that allows you to secure legal representation without paying any money out-of-pocket. By reducing financial risk for our clients, we are proud to be able to represent any unjustly injured person who walks through our doors. If you would like to learn more about our firm and how we can help, we encourage you to contact us as soon as possible. If we cannot help you, we strive to make a referral to another attorney who can.